There are moments in life that lead me to cross paths with beautiful souls like, Abena Antwiwaa. I may not not know the reason why, but I know God will reveal his answer when the time is right. Abena Antwiwaa was born in Ghana, a nation on West Africa's Gulf of Guinea. With her younger brother and dad by her side, Abena moved to the United States to join her mother and for better healthcare. From the outside looking in you wouldn't know that Abena suffers from an autoimmune disease called sickle cell anemia. Each day is a struggle, but she always finds a way to smile. Thankfully, Abena's health continues to improve and her career at Nordstrom, as an assitant manager and fashion expert, is flourishing! When asked what she is passionate about, she responded, the ever evolving fashion world. Abena is not only the person to seek when shopping at Nordstrom, she is her family's fashion icon. 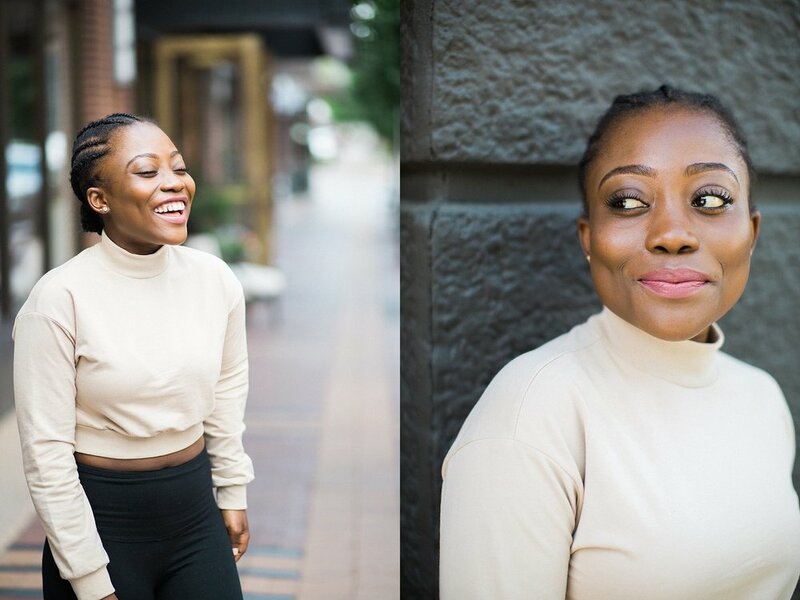 Abena enjoys styling her mom and friend's wardrobe, as well as staying up to date with all the new fashion trends. Abena's goals in life are to become a buyer for Nordstrom and a fashion mogul of some sort. She wants to make her mom proud! Did I mention that her mom is her biggest fan and inspires her everyday? That's what life is all about! As always guys, thank you for stopping by my blog and supporting my passion! Make sure to like and follow me on Facebook @CandaceSimsPhotography and Instagram @candacesimsphoto.